A cold August in much of Ontario has stunted the growth of sweet corn leaving farmers in the red and customers looking at fewer cobs of corn and higher prices. A shortage of sweet, fresh corn is leaving a sour taste in the mouths of Ontario farmers and customers. The Ontario Federation of Agriculture admits sweet corn is not ripening on time. Farmers blame cooler temperatures, the opposite of what the province saw last summer and even in July, for slowing the growth of corn. 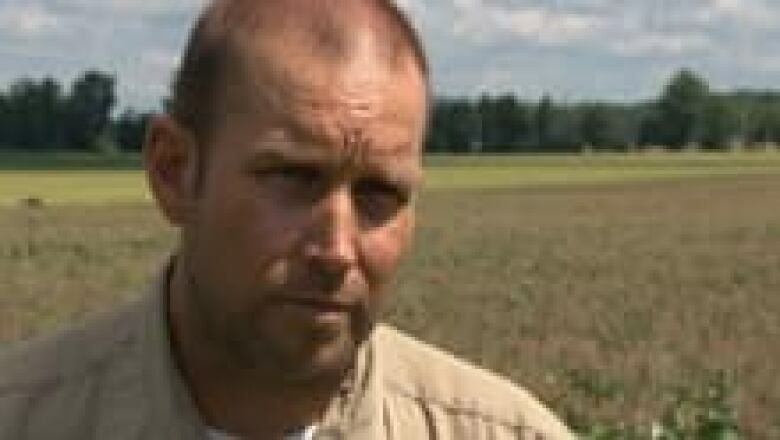 Farms such as the Foster Family Farm in North Gower, Ont., just south of Ottawa, are in a waiting pattern because the vegetable is not ready to be picked yet. The owner, Mel Foster, said his farm has run for 40 years and now sells to big grocery store chains like Sobey's or Metro, but this year he's lost about $30,000. The heat of early July was perfect but suddenly the cold of August has not allowed milk to foster inside the corn. "The cool nights and the cool days, the corn just hasn't matured," said Foster. "Normally when you think of a cob of sweet corn - nice plump white and yellow kernels - it just hasn't been there." The wholesale price of corn has doubled in the past week at the Ontario Food Terminal, the "stock exchange" for fruits and vegetable prices in Ontario. People are forced to be picky about their corn and many have walked away from the cobs. "I hope it doesn't go up too much. I don't want to discourage customers," said Martine Belanger-Trottier, who sells corn at a produce stand in Ottawa's ByWard Market. "I want them to keep supporting local produce. I hope we don't have to do any hikes ourselves." Farmers are waiting for the heat to return and the fall to be delayed so they can resume picking the sweet corn. They need temperatures in the high 20s or low 30s over the next couple of weeks, plus some rain, to make up for their losses. "It's a huge impact. Sweet corn is our main crop. So it being shut down early in the season for two days is huge," said Foster.